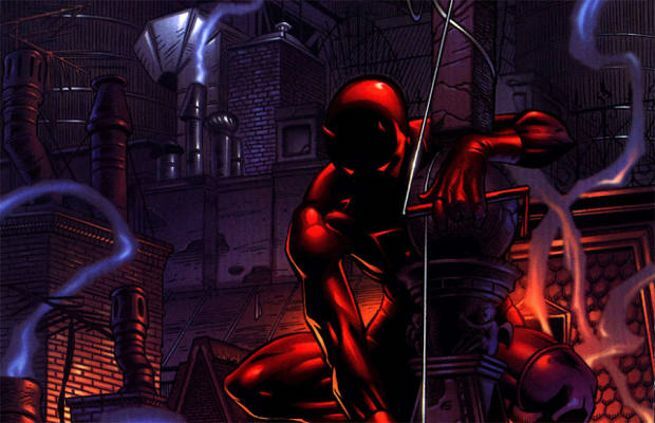 During an interview on Los Angeles's KFI AM 640, Marvel's Head of Television Jeph Loeb told Comic Book Resources's Jonah Weiland that fans looking to find out exactly what Marvel's Daredevil will not be when it comes to Netflix next year, need look no further than the feature film version of the property made back in 2003. By the time he was tasked with running Agents of S.H.I.E.L.D., Loeb had apparently already given some thought to the world of what would eventually become the Marvel/Netflix Defenders partnership. "When I watched The Avengers, which is really one of my favorite movies, during the scene when the sky opens up, the Chitauri are coming and there's a giant battle over by Grand Central Station, even in the theater I was thinking, 'In the true Marvel Universe if you go about ten blocks over and an avenue down, there's a place called Hell's Kitchen and in that world are characters like Daredevil and Jessica Jones and Luke Cage, Hero for Hire, and those characters are not going to be involved in an inter-warfare-universe-colliding incident,'" Loeb said. "That's what the Avengers do and they do it really, really well and those movies are incredible. We wanted to have an opportunity to be able to tell stories about our street-level heroes and how that they could possibly interact in the world of Marvel without it feeling like it's completely detached and by the same token feeling like it's part of that world. And it's very much how it is in the comics, which is that Daredevil -- yes, one could argue that at some point he's been an Avenger but hey, you know, the reality is that so has everybody else [laughs]. The idea is that this is the world of people who are there to protect the neighborhood and if you believe in the neighborhood the way you believe in the planet then the emotional context is just strong." Asked how Marvel's Daredevil differs from the feature film, Loeb said, "When we started talking to our actors and to our directors, this is with all due respect to the film, if you want to know what we're not doing, go watch the movie. If you want to know what we're doing, it's very much steeped in the world of the comics, but it also has a life of its own and that's really what television and our films really do is that we take the best....We hope and we're very confident that this is the beginning of something that's very exciting on Netflix." He wrapped by reminding listeners that the cast of the series will be appearing next month at New York Comic Con, at their panel on October 11.